Less than 7% of commercial pilots and 3% of aircraft maintenance technicians in the U.S. are women. 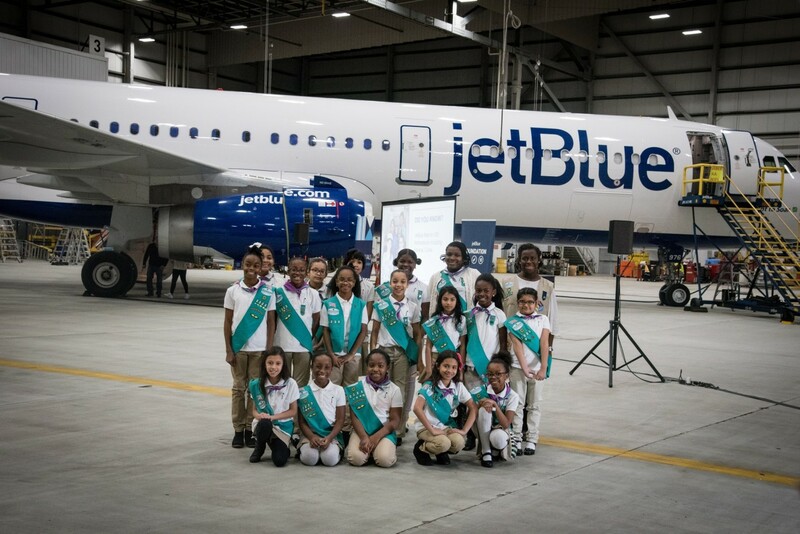 This staggeringly low percentage was the inspiration around JetBlue’s Fly Like a Girl event, hosted by the JetBlue Foundation, as well as JetBlue’s Diversity & Inclusion department and its Women in Flight crewmember resource group. 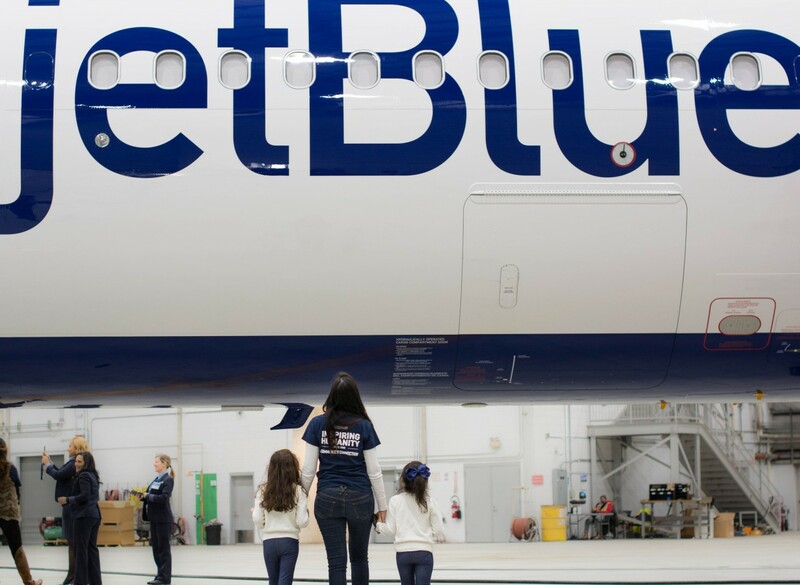 The event invited more than 75 girls, ages 8 to 12, to meet a cross-section of JetBlue crewmembers— all women. 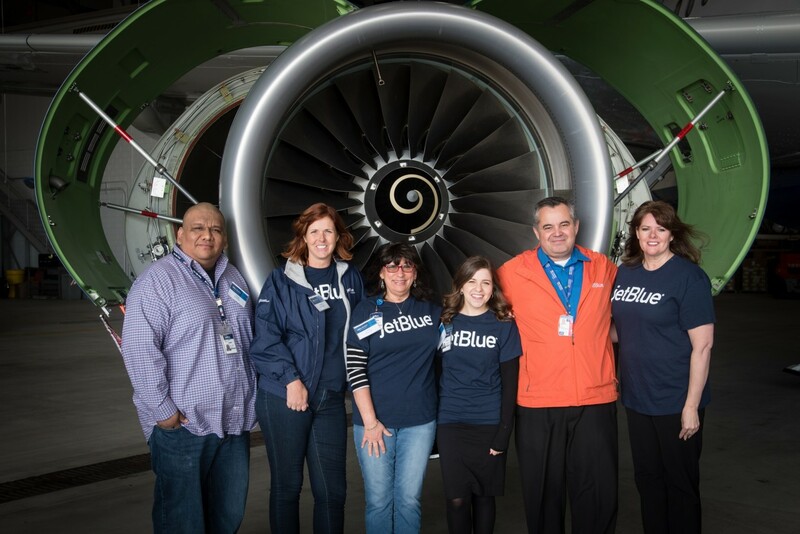 Daughters, sisters and extended family of JetBlue crewmembers, as well as local students and community partners saw first-hand what it’s like to work in aviation. 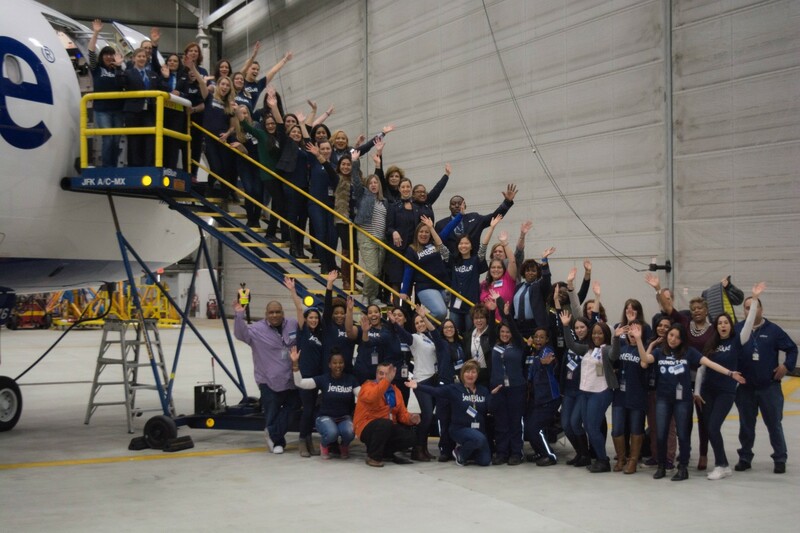 At JetBlue’s Hangar, the girls rotated between three sessions, with crewmembers who offering insight into each of their roles: In the Air (Inflight & Flight Operations), On the Ground (Tech Ops) and In Between (Support Center). The wide-eyed attendees were even able to board an Airbus 321 aircraft, aptly named “Mint to Soar”. Once onboard the A321, the attendees got to partake in a crewmember Q&A, engine “show and tell” and even hop into the Captain’s seat. 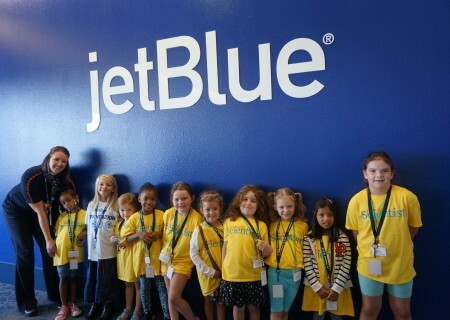 Going into its third year, Fly Like a Girl is one of several events hosted by the JetBlue Foundation motivated by the underlying idea that seeing is believing. 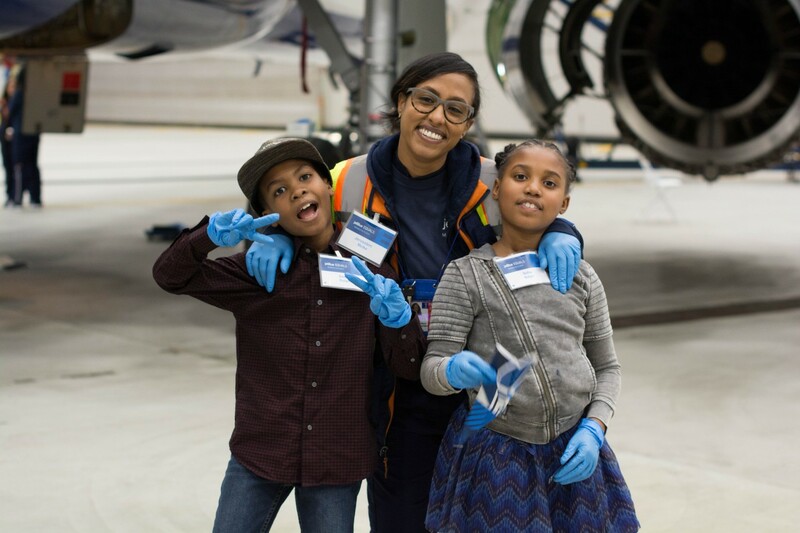 By challenging the preconception and showing girls visible pathways to real careers, the Foundation works to spark a passion in STEM to eventually foster thriving careers in aviation. Share link on Facebook, link opens an external site and may not conform to the same accessibility policies as JetBlue. Share link on Twitter, link opens an external site and may not conform to the same accessibility policies as JetBlue. Email this link, link opens an external site and may not conform to the same accessibility policies as JetBlue. 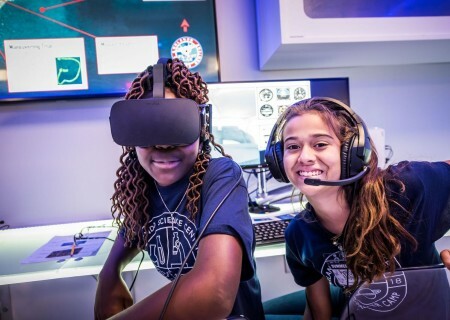 As a recipient for a 2018 Foundation Grant, the Orlando Science Center worked with the JetBlue Foundation to fund a new camp to ignite innovation in the minds of young girls. 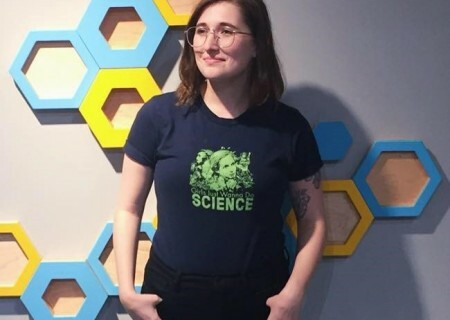 Hazel Theriault from the Orlando Science Center, a JetBlue Foundation grantee talks about being a “possibility model” and showing young girls they can do this too.